The sun is shining, the birds are chirping, and I can finally go outside to walk my dog without a winter parka! Spring is here and we’re busy making magic happen. Our team is actively brining you new great listings, informative blog and vlog posts and fun social media content. You could say we’re beginning to hit our stride! Now, without much more ado, here’s the monthly report you’ve all been waiting for – March market stats! 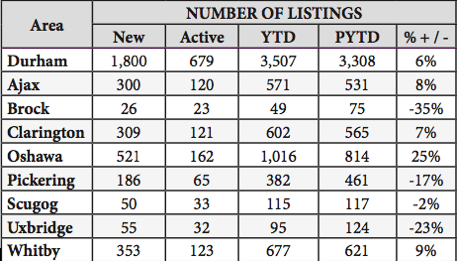 The number of active listings in Durham Region has increased by 6% from this time last year. 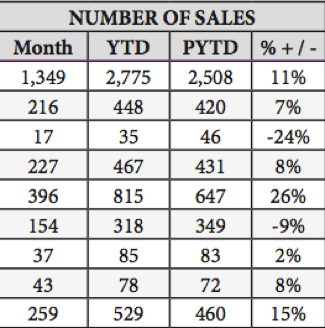 Sales have increased by 11% as compared to last year and it looks like sales are up from last month. 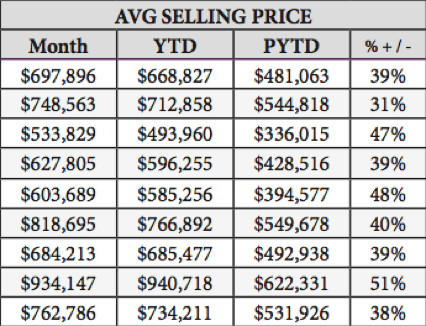 Average selling prices are also up 39% across Durham Region. What does this mean for your specific area? Pickering has seen a 40% increase in average selling price. Listings are down 17% and sales are down 9%. Ajax has seen an 8% increase in the number of listings, as well as a 7% increase in the number of sales. The average selling price is 31% higher than last year. Whitby saw a 9% increase in the number of listings as compared to last year, and a 15% increase in the number of sales. The average selling price has also increased by 38%! Clarington had an 7% increase in the number of listings. There was also an 8% increase in the number of sales, and the average selling price has increased by 39%. Oshawa experienced a 25% increase in the number of listings, as well a 26% increase in the number of sales! The average selling price saw a large increase at 48%. It’s important to remember that there are rare pockets within each city that will have their own unique numbers that may not reflect what we have reviewed. To find out what your property is worth, it’s always a good idea to have a professional realtor give you a current market evaluation. Factors such as the property condition, upgrades, and proximity to vital services and amenities to give you an accurate value. If you’re interested in learning what your home is worth, don’t hesitate to contact Jacob for a confidential, no-obligation market evaluation.